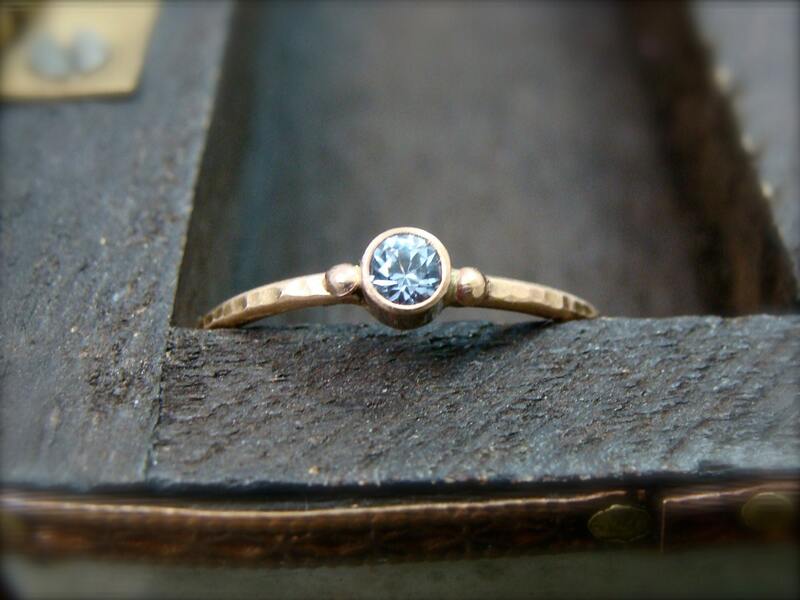 This delicate 14k gold ring holds a tiny drop of aquamarine. The solid gold has been hammered to add to it's handcrafted look. 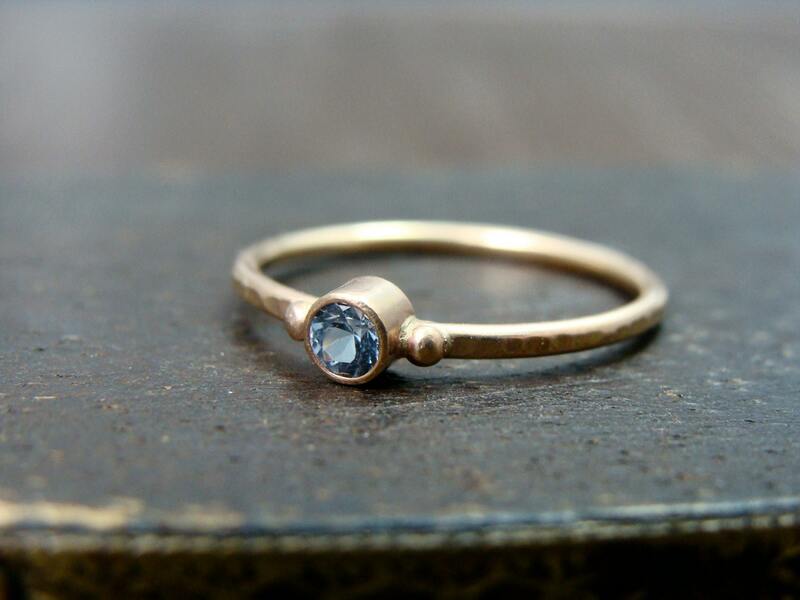 This feminine ring looks great alone or stacked with other rings. 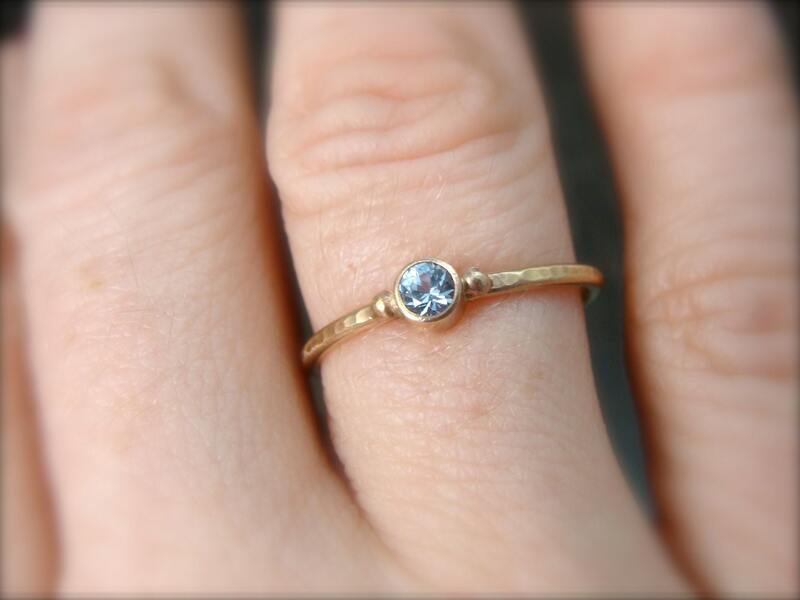 The stone is 3 mm, the band is 1 mm. 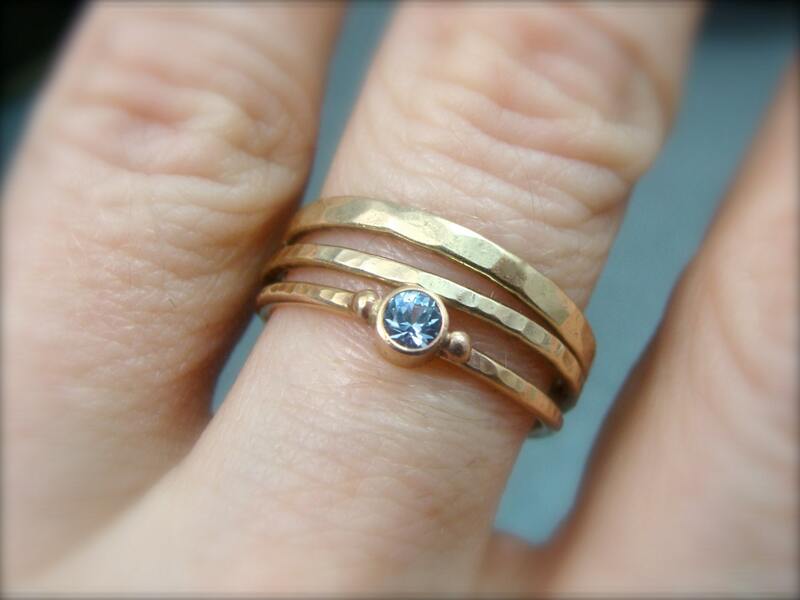 Have a look around my shop and you'll find the other rings in the listing. ★ Each ring is made to order. There will be a $60. restocking fee for size exchange. 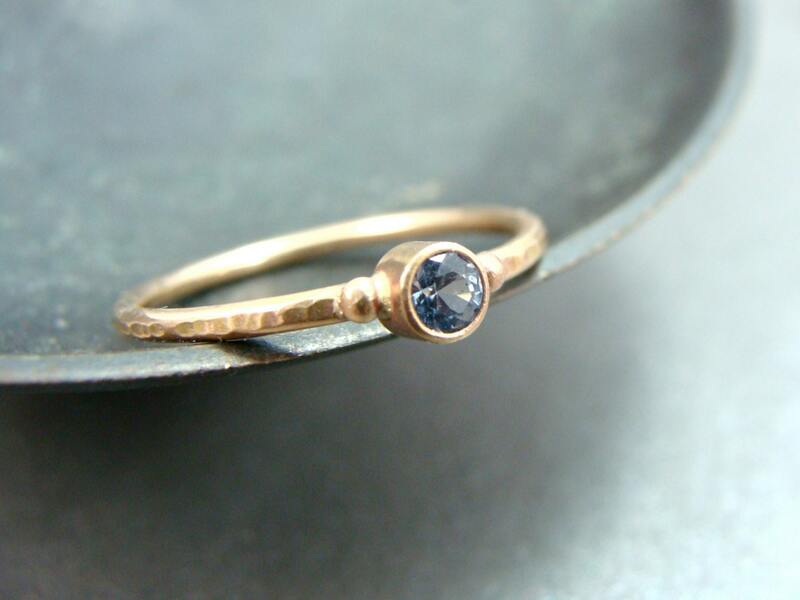 beautiful little ring, very discrete, very elegant!